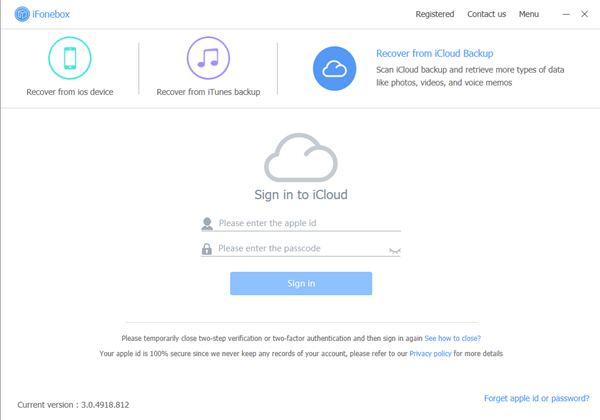 Is there any chance to recover only notes from iCloud backup after update to iOS 11? 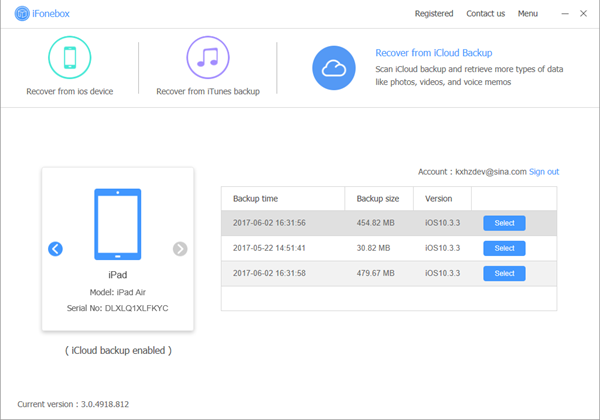 If you don’t have any clue to recover only notes from iCloud backup after update to iOS 11, read here to recuperate only notes from iCloud backup after iOS 11 update. I upgraded my phone 6 when the iOS11 released and one of my notes containing all of my passwords is missing. I’m pretty sure it was on my phone in when I backed it up to my iCloud account recently. How can I get my note back? Will I have to restore the phone from my backup bring the note back? How can I recover only notes without wiping any other data? 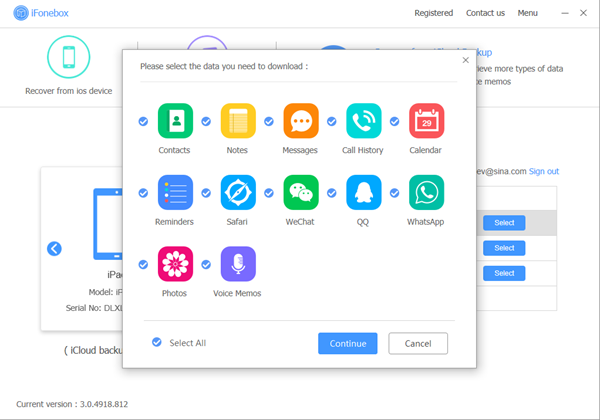 This situation can be embarrassing because Apple usually offer you a solution that have to restore the device from one backup to find your missing data, which means existing numbers on your device will be wiped out. Is there any chance to recover only notes from iCloud backup after update to iOS 11? The answer is definitely Yes if you turn to iFonebox for help. In terms of iOS data recovery software, iFonebox remains unsurpassed by virtue of its professional and trustworthy merit. More and more iPhone users prefer to choose iFonebox because it’s able to recover up to sixteen kinds of data. No matter your device is damaged by liquid, or stolen by someone else, iFonebox is always a great helper for you. Can’t Miss: How to Recover Data from iTunes when your iPhone dropped into Water? The reason why you’re supposed to select iFonebox instead of iTunes is that you’ll be allowed to recuperate only notes from iCloud backup after iOS 11 update. You don’t have to restore the whole backup which will cover all your new data just for few notes, especially when you’re not sure enough the backup content. With the help of iFonebox, you’re entitled to preview the data through your backup and retrieve them selectively. 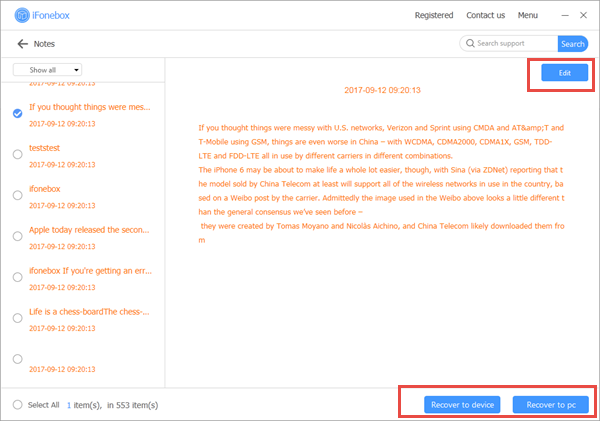 Aside from retrieving only notes from iCloud backup after update to iOS 11, iFonebox is also a great helper that assist you to save, transfer or manage your precious data in a safe way. No matter your iOS device is running out of space or something else, you can still store the data to computer from device or backup conveniently. Then I will mainly introduce how to get your missing notes back from iCloud backup. First of all, download the compatible version for your computer. Then, follow the instructions bellow to complete the steps. Click Notes item to start scanning automatically. If you want to recover some attachments in it, please click on Notes Attachments. It’s time to get your missing notes back, all you need is select the information you want and click the Recover to PC or device directly then the task is accomplished.